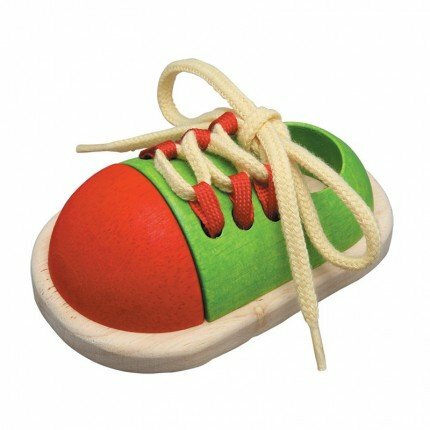 Plan Toys wooden Tie Up Shoe. 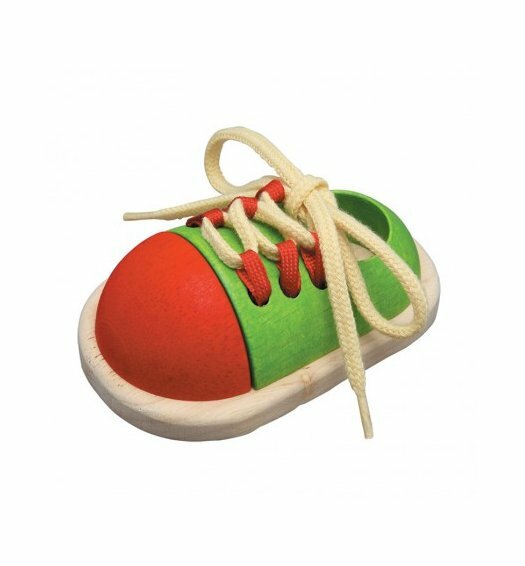 Colourful shoe for teaching children how to tie laces. 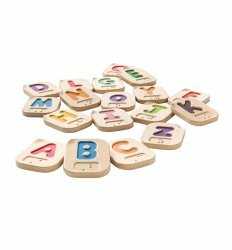 Made with natural rubber wood and finished with non-toxic water based dyes. 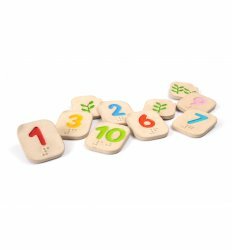 his toy helps young children to develop hand eye coordination and imagination.